What is the Bridge to Nowhere? To start, this Bridge to Nowhere is not one of those tax boondoggles that you read about in the news. The Bridge to Nowhere was supposed to go somewhere. 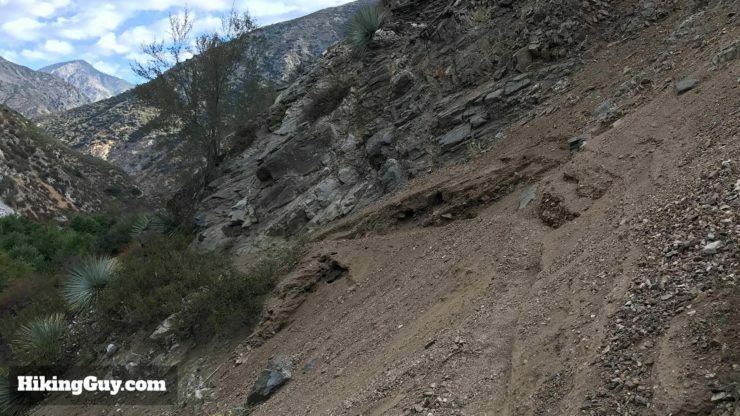 In 1929 work started on the East Fork Road, which was going to connect San Gabriel Valley with Wrightwood to the north. The bridge was a vital link on that road and was built in 1936. 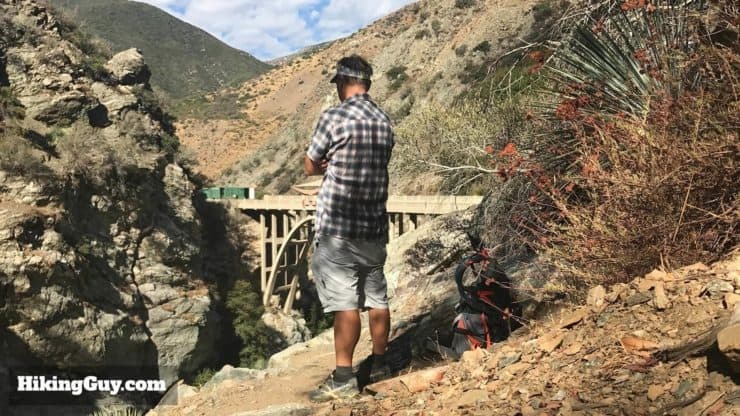 But only two years later, in 1938, catastrophic flooding in the San Gabriel River washed the road away, leaving only, well, you guessed it, a Bridge to Nowhere. Keep your eyes open for remains of the old road that got washed away in the Great Flood of 1938. This was the road that led to the Bridge to Nowhere and you can see sections of pavement along the hike. 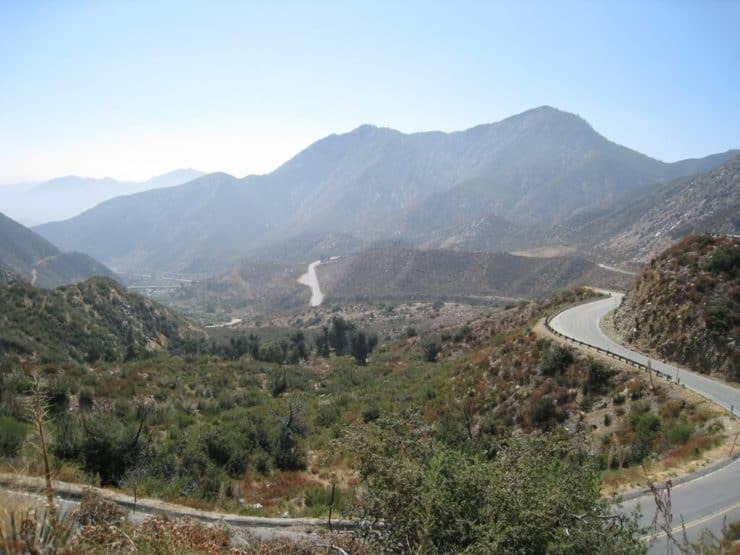 Then in the 1950s, when everyone was in the grips of Cold War nuclear holocaust paranoia, the government thought it would be a good idea to build a highway through the San Gabriel mountains to evacuate people from LA to the Mojave Desert. 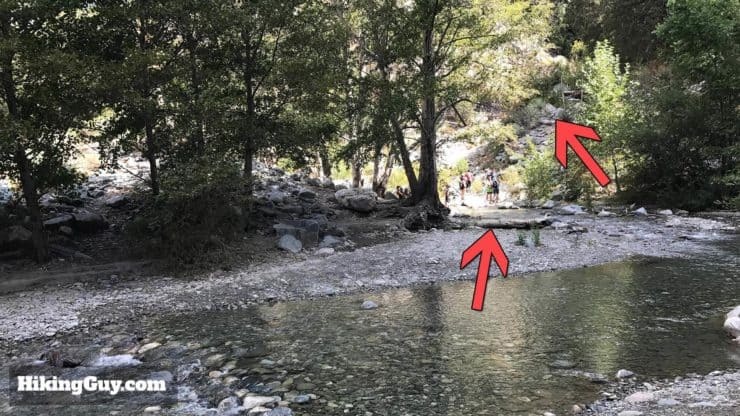 The abandoned Bridge to Nowhere was to be used in this new evacuation route. Work started on the new route, Shoemaker Canyon Road, in 1956, done mainly by prison inmates, hence the local nickname of “Convict Road.” The progress was slow, and only 5 miles of the proposed 25 mile road was finished by the time work was abandoned in 1969, leaving the appropriately named “Highway to Nowhere.” The highway never made it to the bridge, but you can still check it out on the drive (to or back from) the bridge hike. 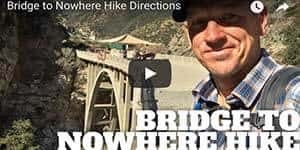 When Is The Best Time to Hike the Bridge to Nowhere? 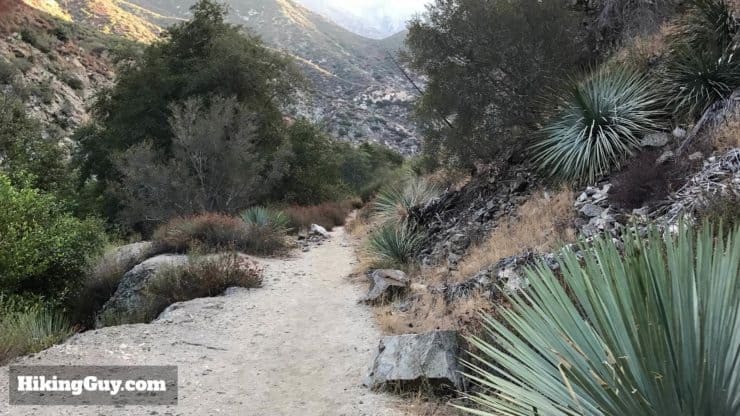 You can pretty much do this hike any time of the year, but there are a few things to watch out for. 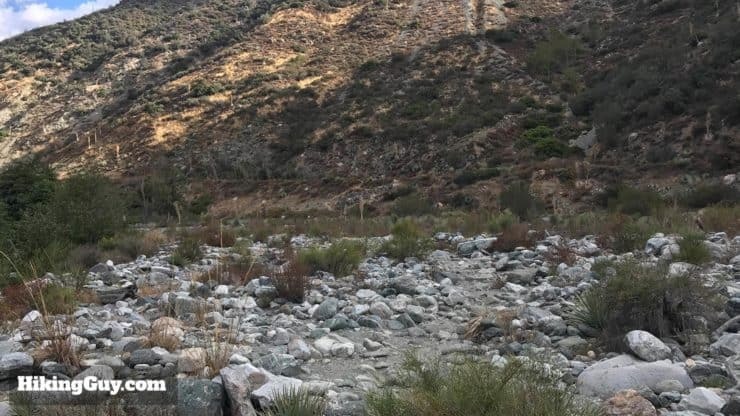 If there have been heavy rains in Southern California and/or it’s winter, the San Gabriel River can be flooded. 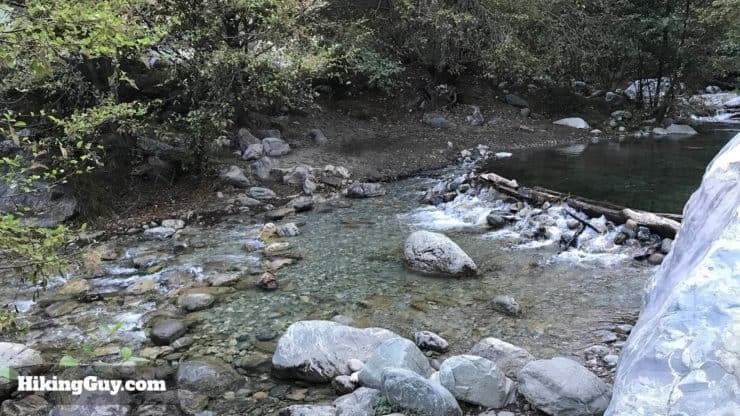 You have to cross the river a few times, and the water can be up to your waist and portions of the trail covered. 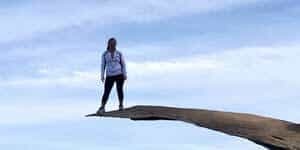 This is not a very fun experience, I would do the hike another day. 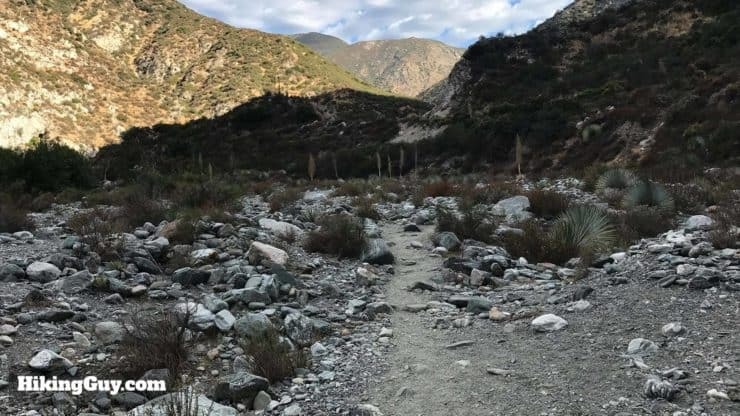 If there’s any chance of thunderstorms or heavy rain on your hike day, there can be flash floods, and you’ll want to postpone. People have died in flash foods here, and you need to take it seriously. 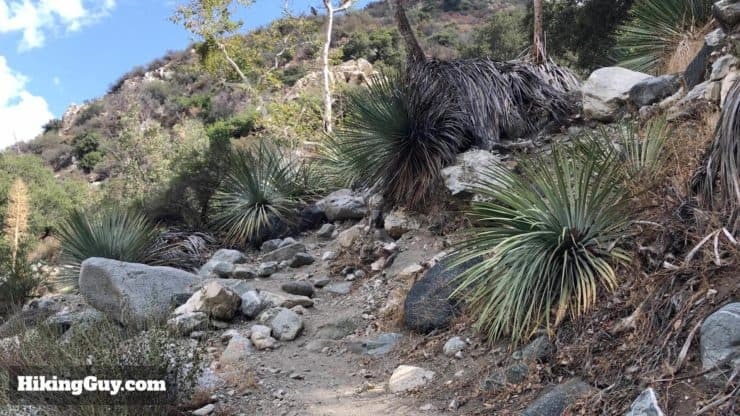 There’s also no shade on the hike, so if you go on a hot day, it can get pretty brutal. Luckily you can dip into the water and cool off, but it can still be pretty hot. Leaving at sunrise is a good bet to avoid the heat, crowds, and overflowing parking lot. And if you have dogs, make sure they’re good in heat as well. 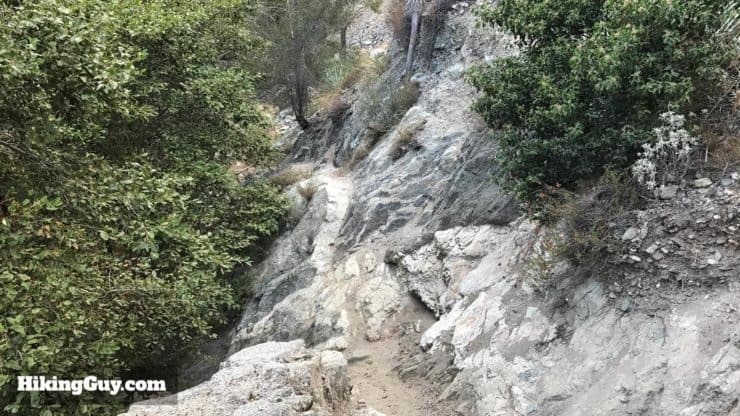 You will get wet on this hike. You can try and jump across rocks to stay dry, but why? Embrace the water on this hike. 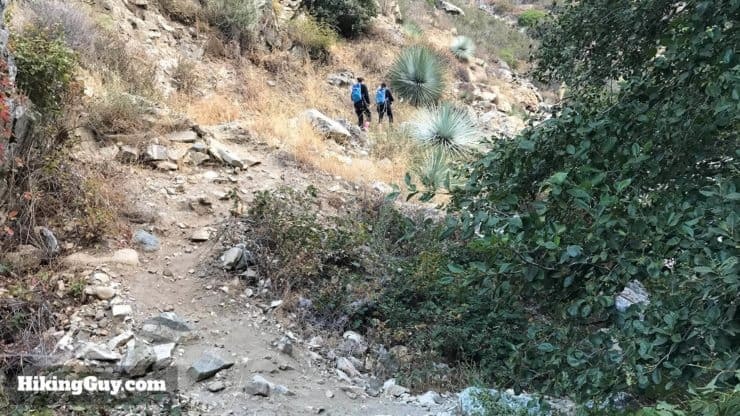 I’ve seen people do this hike with flip flops, a 12oz water bottle, and a bluetooth speaker. Don’t do this. 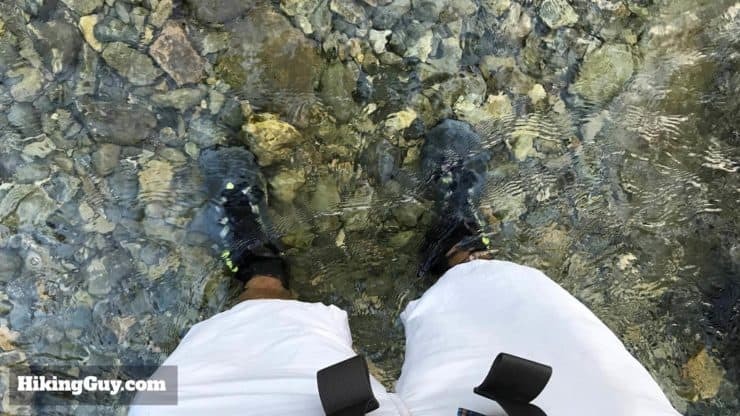 As you can see from the picture, you can do this in hiking boots if you’re okay with them getting wet. Some folks bring hiking sandals or take their shoes off when they cross. Trekking poles help you keep your balance when you cross streams. It’s a long hike with not so much shade, so bring plenty of water (3L) and snacks. And if you want to swim in the pools below the bridge, wear a bathing suit as underwear and bring a quick-dry towel. 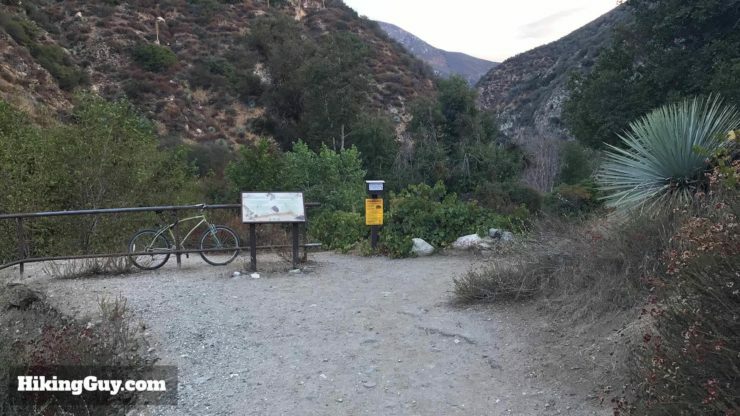 You can use this trailhead address: Bridge to Nowhere Trailhead, Camp Bonita Rd, La Verne, CA 91750. 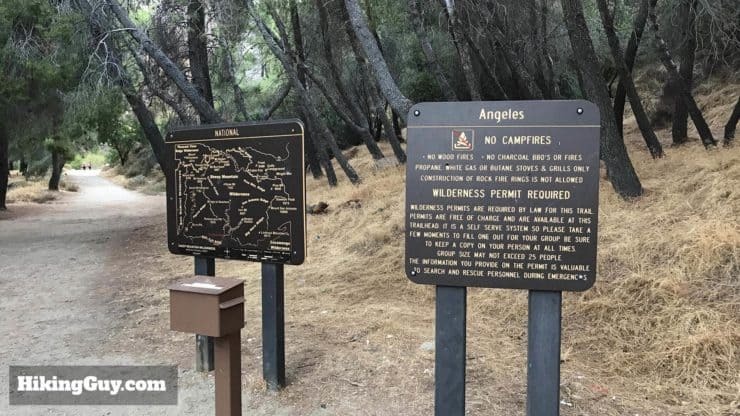 The Bridge to Nowhere hike trailhead is about 30 minutes north of downtown Azuza, CA. 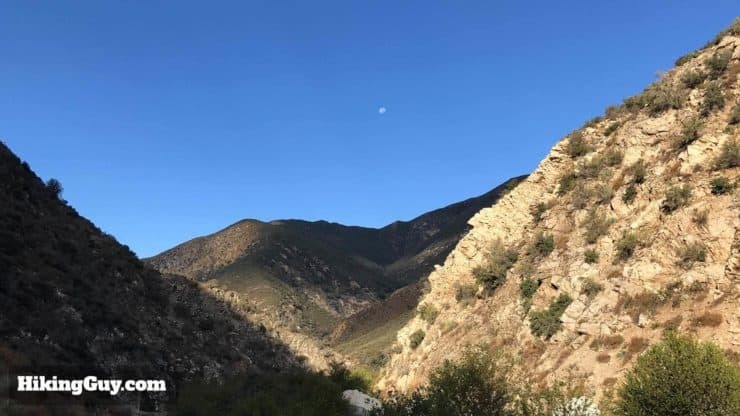 The drive is spectacular and winds its way on the side of San Gabriel Canyon, with the river and reservoirs below. The overlooks are worth stopping at to soak in the views. The drive to the trailhead is an adventure in itself. Photo Boris Hansen. Can I drive to the Bridge to Nowhere? Not without hiking the last 5 miles. You need a permit to park for the Bridge to Nowhere trail. 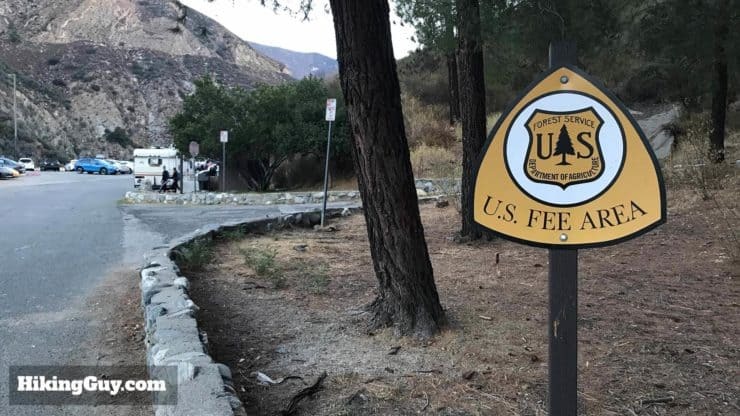 The parking lot for the Bridge to Nowhere is a fee area, and you need to buy a pass before you arrive at the trailhead. You can use a National Parks Pass (which I highly recommend if you hike a lot) or an Adventure Pass, and display it in your window. People do get tickets here for not having passes and for parking in “no parking” zones. If there’s no parking left in the lot, you can park down on the side of the road. Some areas of the road are marked with “no parking” signs, so avoid those, but otherwise it’s open game. I’ve seen cars parked for miles along the road. Do yourself a favor and get there by sunrise at the latest, or go on a weekday. 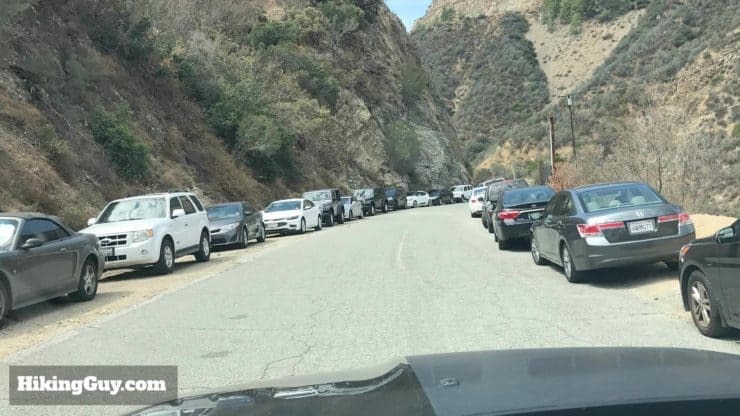 It’s about 11am, and people are parked along the road, about a mile from the trailhead. 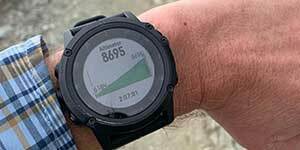 Many guides note that there’s about 800 feet of elevation change, which is kind of accurate. There’s actually about 800 feet of elevation difference between the start and finish. But there’s more like 1900 feet of total climbing when you factor in all the ups and downs on the trail. Overall it feels generally flat with a few short, steep uphill sections, but add in all the undulations and it can be more fatiguing than you’d think. 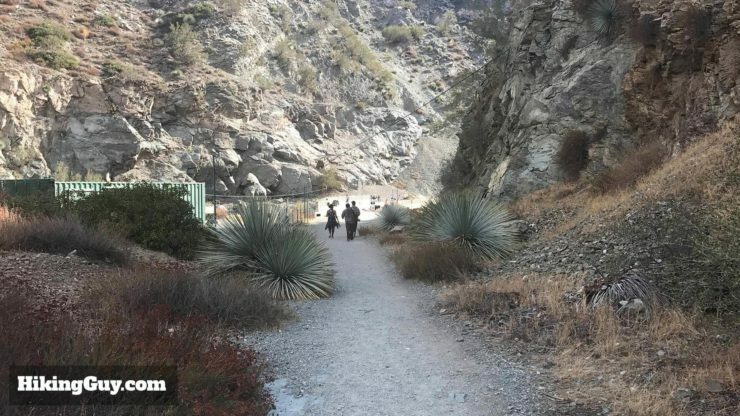 This hike in the middle of the mountains avoids any major climbs by making it’s way up the valley. It’s still a tough one though. I’ve said this a few times before, but the hike is crowded, especially on weekends. Do yourself a favor and go on a weekday or at sunrise for a more enjoyable experience. 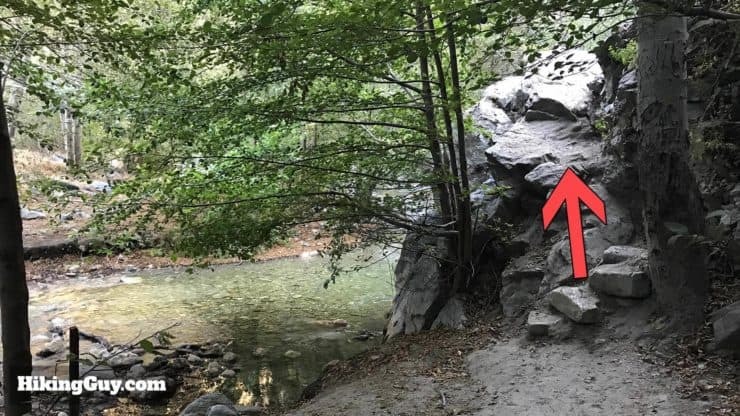 The hike directions below will show you all the ins and outs of the trail, but in general, stay on the right bank of the river. 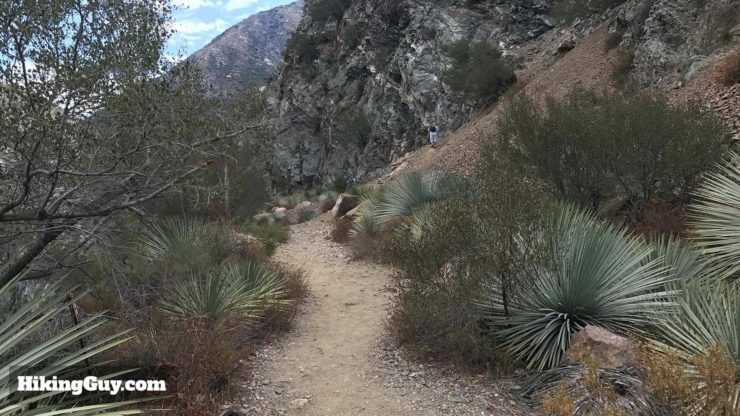 There’s a decent amount of yucca and prickly plants. Some people wear long pants (but I don’t because of the stream crossings). There can be rattlesnakes. Watch your footing. Slipping on wet rocks and falling. 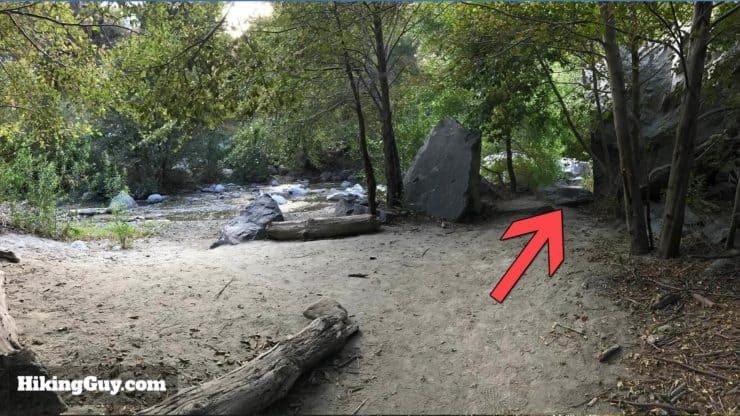 This happens a lot when folks try to jump across rocks to stay dry. I once saw an inexperienced hiker get helicoptered out for heat stroke. 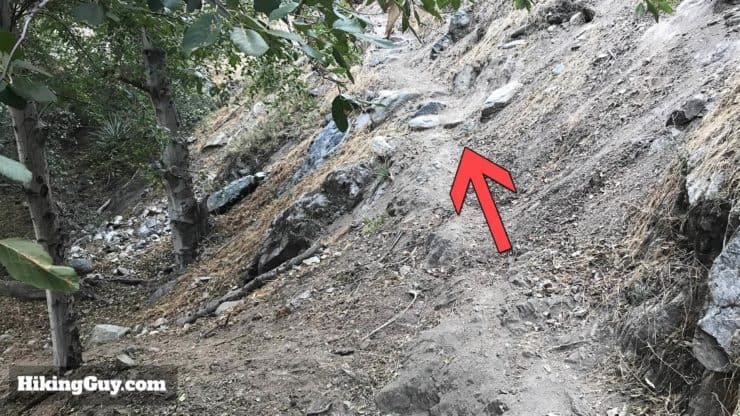 If the trail peters out, or you find yourself on a precarious ledge, you’ve gone the wrong way. 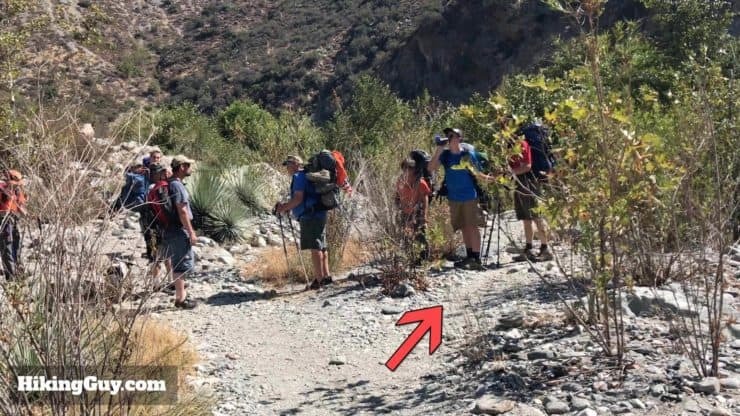 Here’s a picture of two hikers who were stranded on a ledge because they weren’t paying attention on the way back. Two hikers stranded on a ledge. These were “hiker” hikers, and not bungee jumpers. Be aware of the trail, some careless turns on the way back could lead to an evacuation. 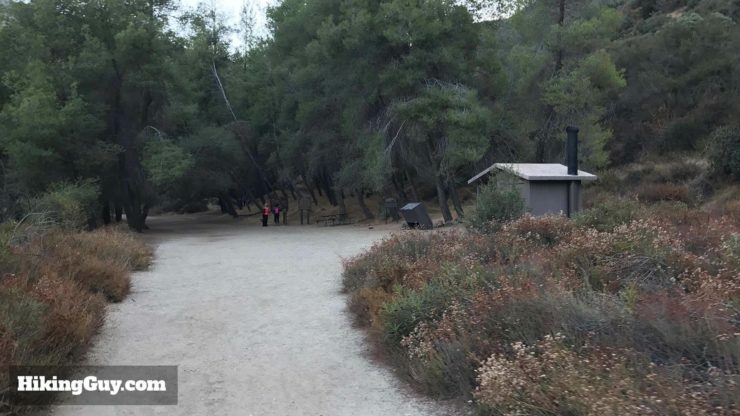 There are primitive bathrooms in the parking lot and a few minutes down the trail at Heaton Flats. 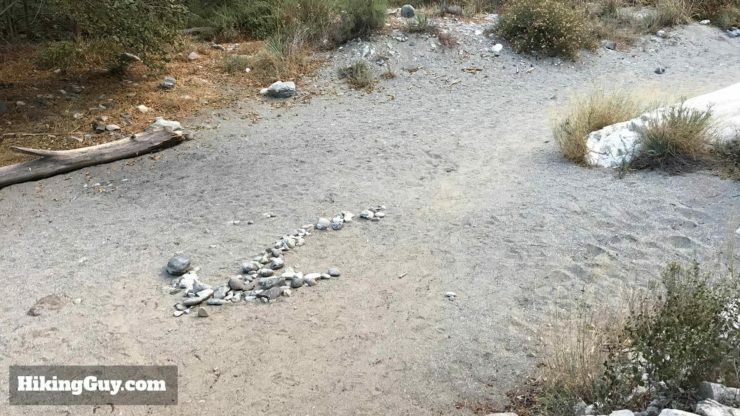 Don’t trust the cairns that you see on the trail. Sometimes they’re way off. If you see garbage, please pick it up and pack it out. If you bring kids, make sure they can easily do 11 miles and 2000 feet of climbing. I’ve seen kids of 7+ years old having a ball, and I’ve seen younger kids who looked like they were on a death march. This is not an easy hike. 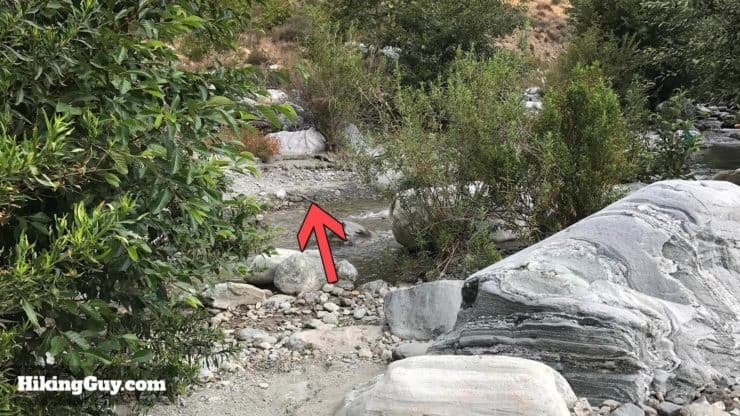 You might see (or hear) miners illegally panning for gold. There are people who live and camp out here, looking for gold. They’re used to hikers but expect to be given their space. Be respectful. 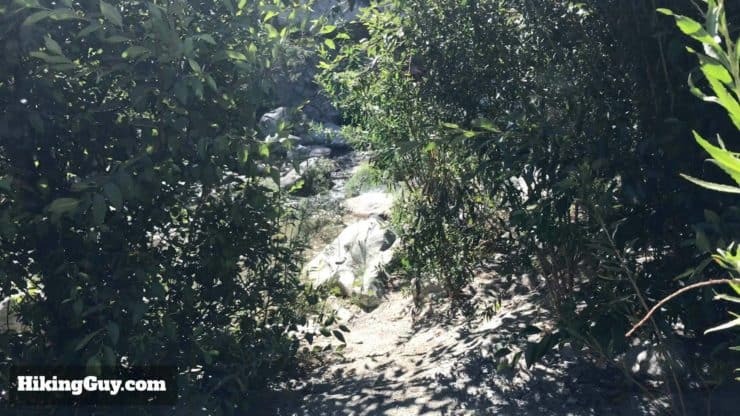 Again, just a reminder, try to stick to the right side of the San Gabriel River, your life will be easier. 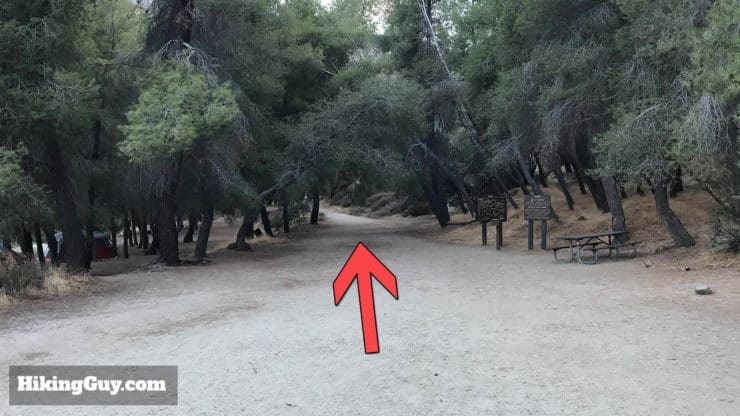 These hike directions will show you the way. Head to the end of the parking lot. There are bathrooms here too. 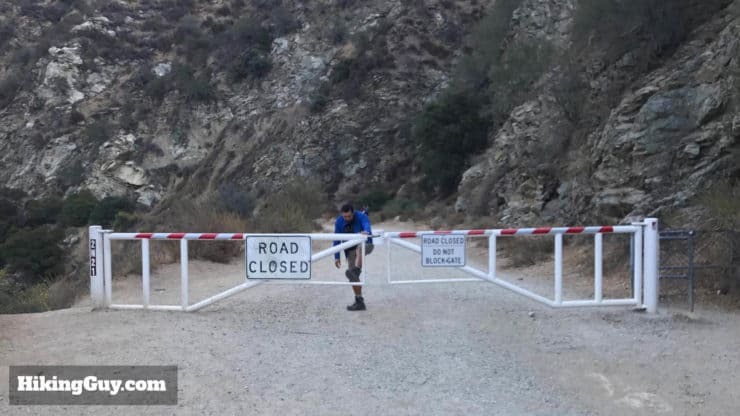 At the end of the trailhead parking lot you’ll see this gate, this is the trail, hike through it. 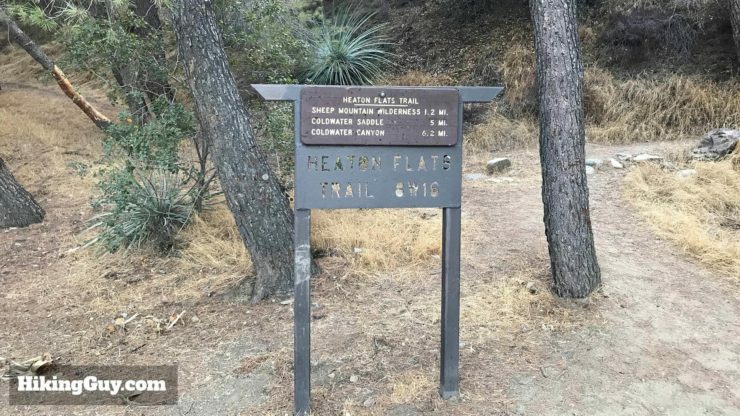 After a few minutes of hiking downhill, you’ll arrive at the Heaton Flats Campground. This is your last chance for bathrooms. Head straight through on the main (wide) trail, avoiding any side trails. 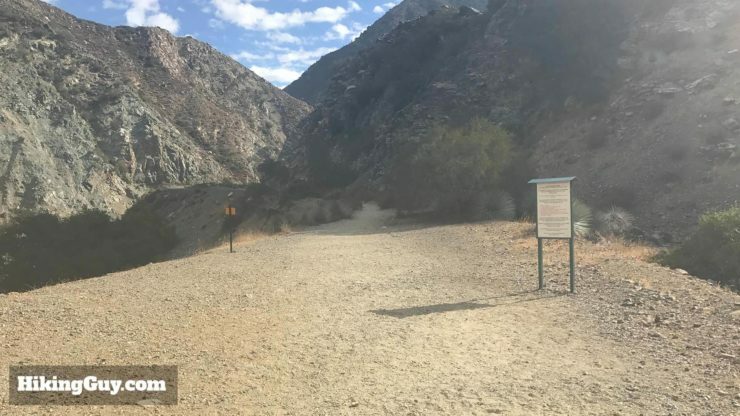 On the right you’ll see the Heaton Flats trail junction that leads to the tough summit of Iron Mountain at 8,007 feet. Keep going straight, avoiding this trail. 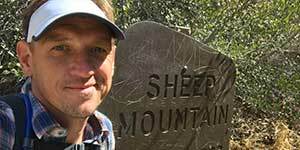 Just pass the trail junction you’ll see signs for the Sheep Mountain Wilderness. Fill out a free permit in the metal box in front. 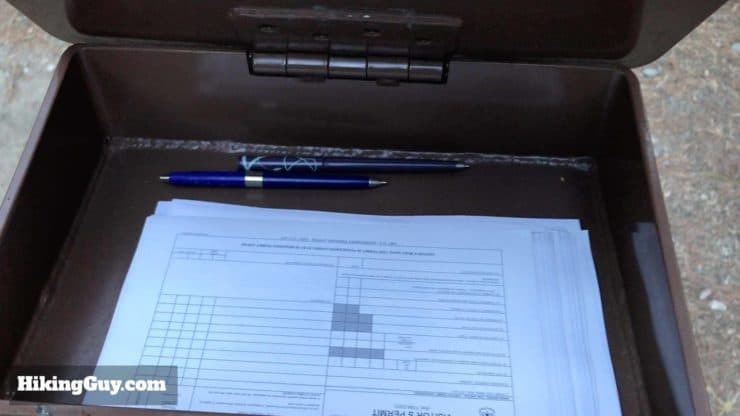 After you fill out the form, put the top copy in the slot on the side of the box, and keep the lower copy for yourself. At the end of Heaton Flats you’ll pass through this gate and onto a more normal trail. 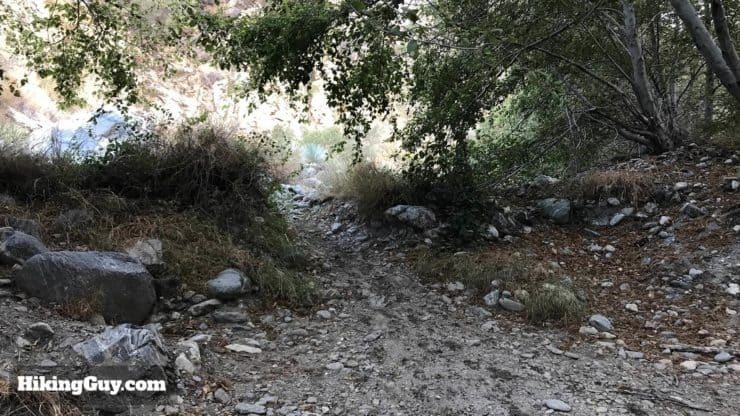 The trail to the Bridge to Nowhere is know as the East Fork Trail, because it follows the East Fork of the San Gabriel River. The trail is easy to follow, and you’ll eventually reach the first stream crossing. Go ahead and cross here. After crossing the stream, hike up on the trail on the left bank. The trail climbs up on a ridge on the left bank of the river. 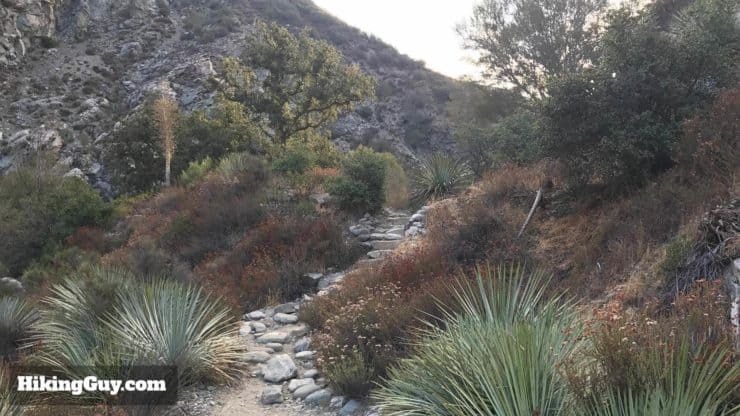 You’ll start getting some great views of the San Gabriel River Valley here. The trail descends to some concrete remnants of a bridge. Pass all the bridge pilings and cross back to the right bank after the last piling. Cross the river past the last piling, heading up the trail on the other side. The trail is easy to follow as you make your way up the right bank. Hikers have left a stone arrow pointing the way for the returning hikers. 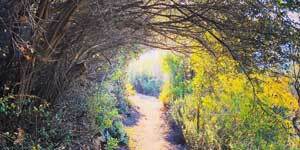 Be aware as you hike to the Bridge, noting how you will turn when you return. The trail continues on and is easy to follow. More great views await. Okay, this is tricky. Instead of crossing the river here, head up the rocks on the right. Once you climb the rocks, the trail continues straight. Avoid the side trails down to the river and continue straight and upstream. You’ll go through this wash area. The trail splits apart and comes back together quite a bit, and this happens in other places as well. Try to take the path most worn, and again, if the trail peters out, turn around, retrace your steps to the last split, and try another way. Eventually the trail becomes well defined again. This pattern will repeat itself as you continue. Hopefully the crowds are not so bad and you can enjoy the beauty around you. 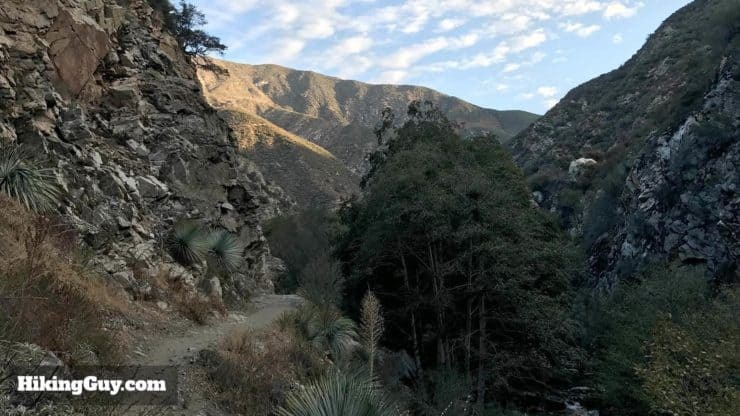 The hike along the valley offers some great scenery. Here’s another tricky area. 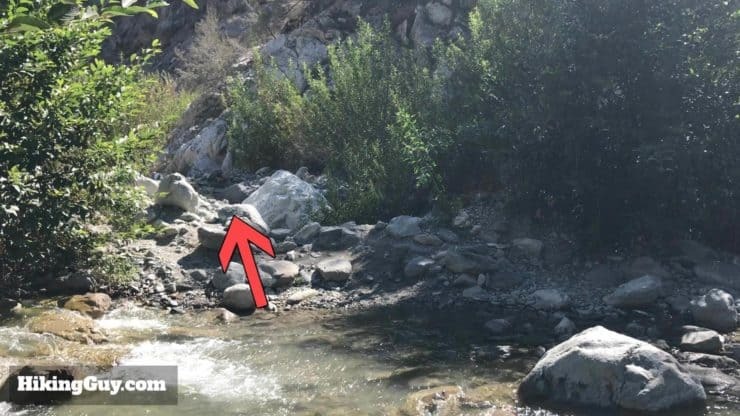 Instead of crossing the the river, go through the boulders on the right bank to continue. 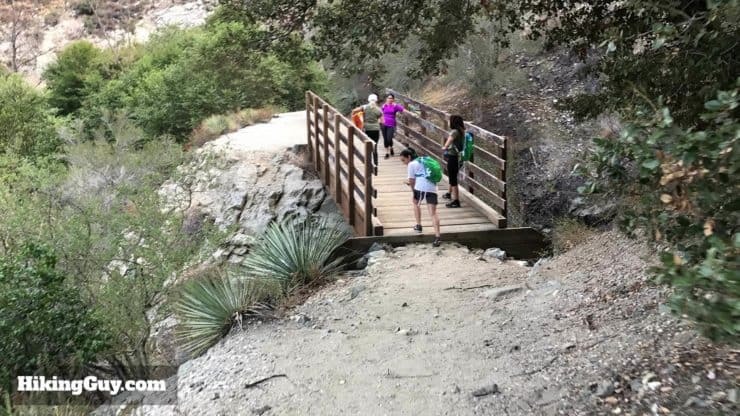 Cross Laurel Gulch on the John Seals Bridge, created by the volunteers of the San Gabriel Mountain Trailbuilders. The bridge was airlifted here with a helicopter. 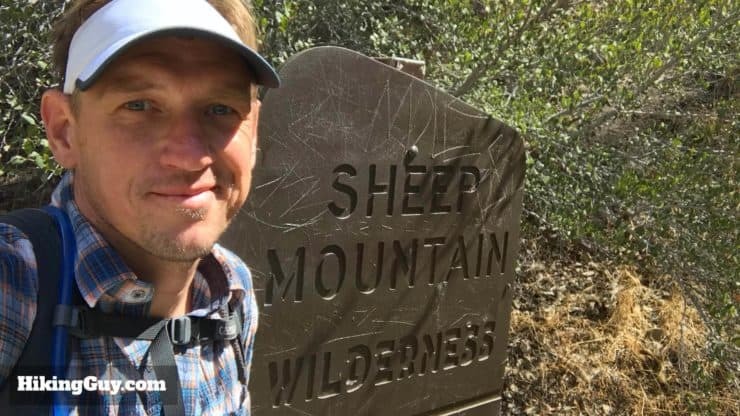 Once you cross the bridge you’ll enter the Sheep Mountain Wilderness, which you needed the permit for. 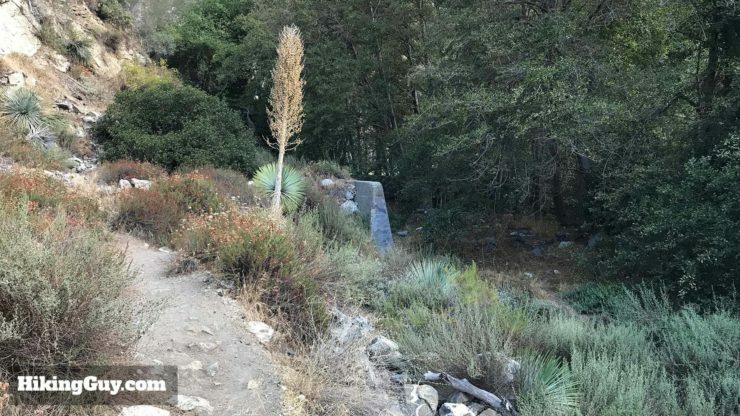 This section of the East Fork Trail has some rocky sections. Just take your time. 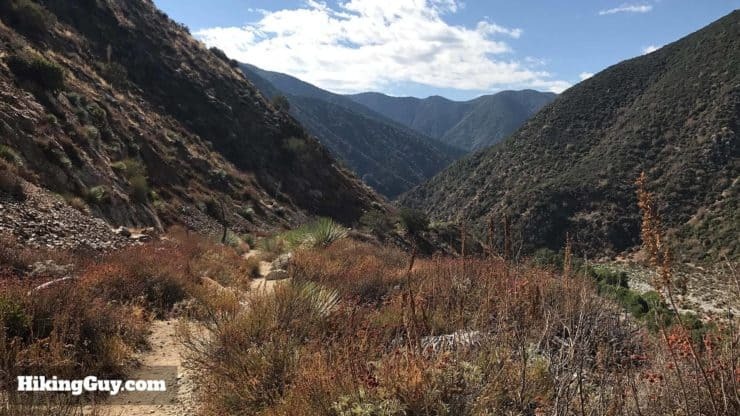 Continue on the East Fork Trail with some ups and downs. Okay, here’s your next river crossing. 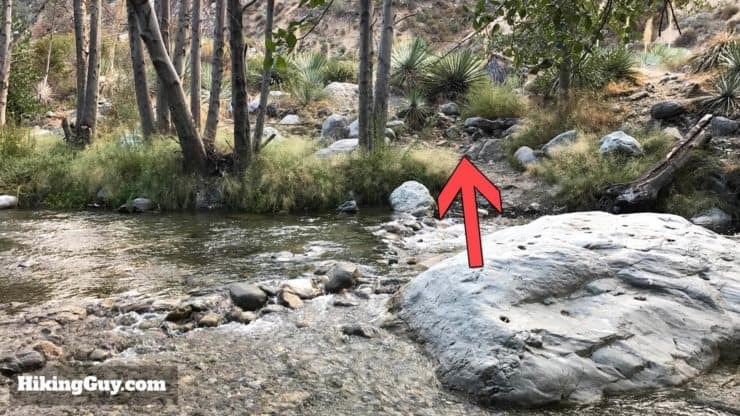 The easiest way to do this is just walk up the stream to the bend, then head back on the right side, looking for a single switchback that takes you up above the stream on the right bank, roughly where the higher arrow is here. It’s easy to miss unless you know what you’re looking for. The trail will start to climb higher up on the right bank. 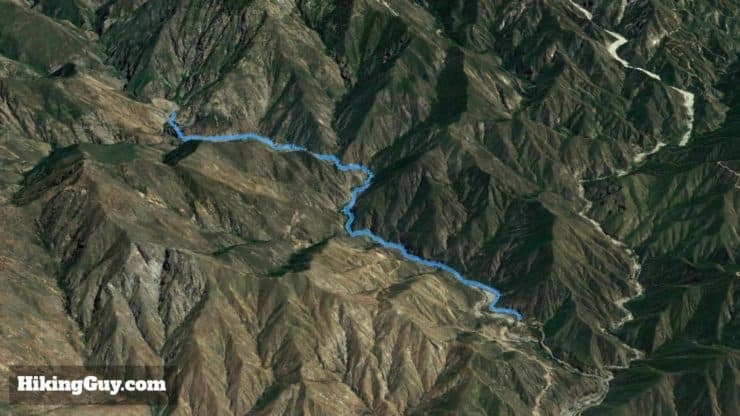 Eventually the East Fork Trail heads down into a wash. There are a lot of little splits here. Okay, here’s the last set of river crossings. Cross when you arrive at the river and continue on the trail. There’s a well established trail on the left bank here, but the crossings upstream can be a pain. A minute or so after the last crossing, veer right at this junction to cross back to the right side of the river right away. The trail winds it’s way down to the river bank. Cross the river for the last time and continue upstream on the trail. The East Fork trail makes its way up a wash area. 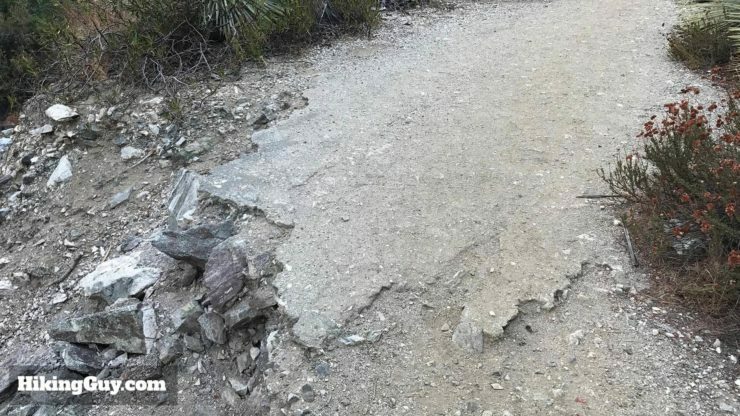 Keep your eyes open for this trail split. you’ll see the trail off and up to the right climbing onto the ridge. That’s where you’re going. There are a few splits and ways to get up, but you need to get up there. Once you’re up on the ridge, the trail is very easy to follow. Keep hiking straight. 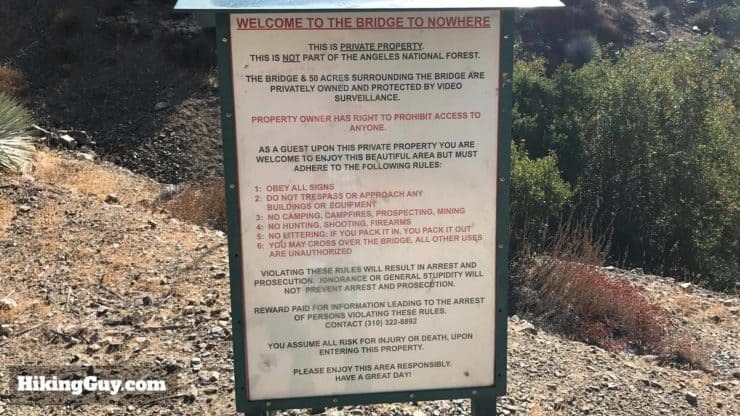 You’ll see a sign letting you know that you’re entering private property (owned by the bungee jumping company). 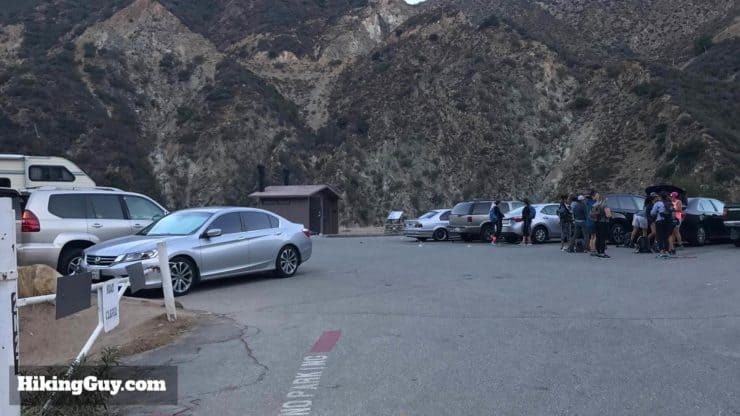 Again, be respectful and thankful that they allow hikers here. Here you are! Arriving at the bridge is not so spectacular. You’ll have to go across it for the views. I got here early when they were setting up the bungee jumping (on the right). 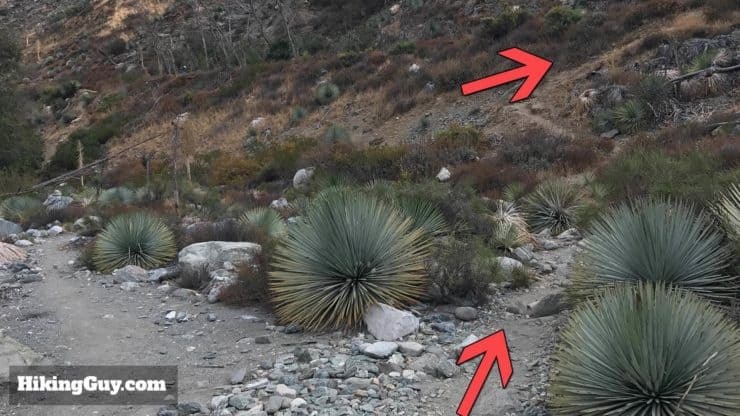 They’ve designated an area for hikers to safely pass on the left. Again, you might not enjoy that this is here, but please be respectful of the area and business. Also, notice that the bridge is lower on the right side. Why? I have no idea. Check out the gorge from the top of the bridge. The swimming holes are down there. 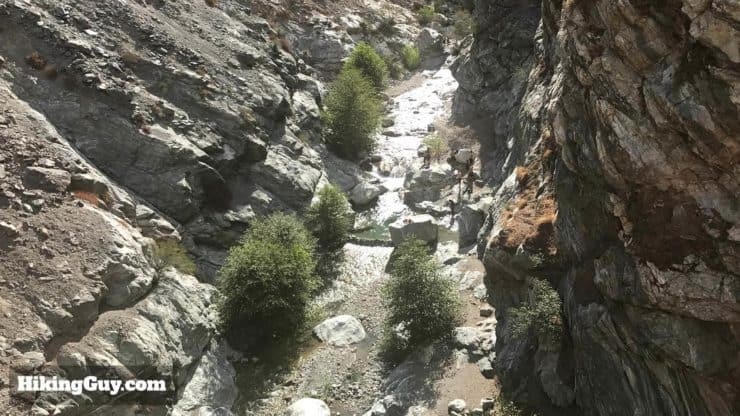 Continue over the bridge and down the trail for views of the bridge and to climb down to the watering holes. 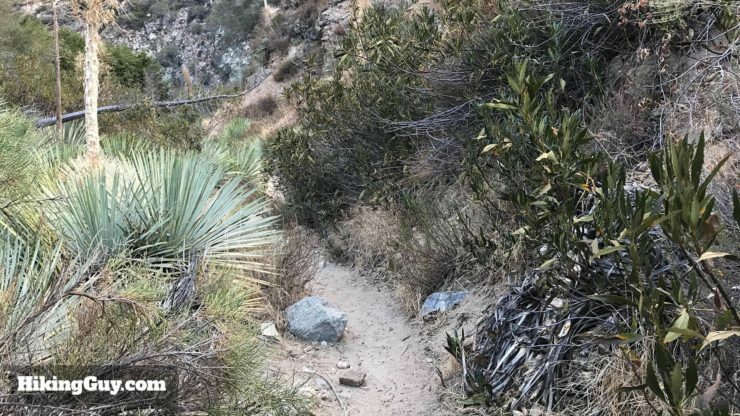 The trail can be loose and steep here, be careful. You can also continue on the upper ridge to an abandoned tunnel. Some folks camp tbere. Grab your pictures of the bridge, and then continue back the way you came. if you get here early, you might even see some bighorn sheep on the hills above you. After you’re done with the bridge, simply head back the way you came. And again, pay attention as you go, it’s easy to take a wrong turn if you’re motoring ahead on autopilot. The Bridge to Nowhere is also home to Southern California’s only commercially licensed bungee jumping option. The bungee jumping has been around since 1989 (the oldest in the USA), and the attraction has been featured in tons of movies, commercials, and even has some world records. For $99 you can hurl yourself off the Bridge to Nowhere into the abyss. 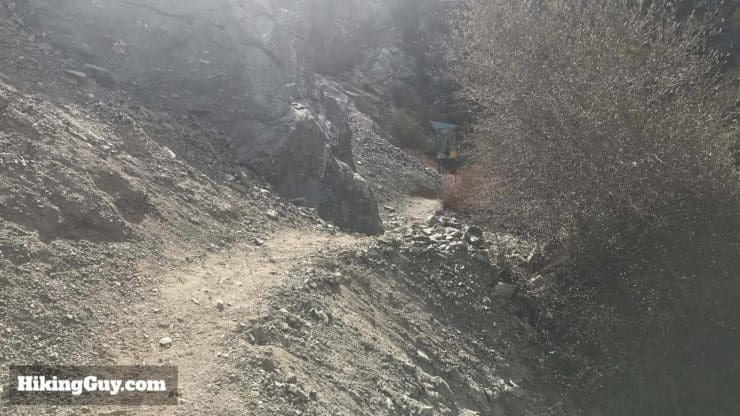 You might be asking yourself, “how is there a commercial bungee jumping operation in the middle of the Sheep Mountain Wilderness?” Well, the owner of the bungee jumping operation bought the land from private owners who owned the land as a gold mining claim. It turns out that the bridge was built in the claim area. 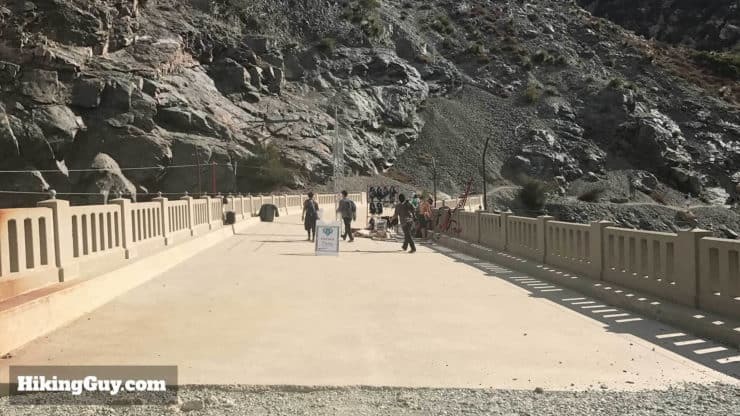 The bungee jumping operation has a bit of controversy around it, and people have been trying to shut it down for years. Parking gets full because it’s not just for hikers, it’s for bungee jumpers too. There’s no way to drive to the Bridge to Nowhere. You will see people on the trail who are inexperienced and sometimes ill-prepared. Do your best to be kind, empathetic, and helpful. They have as much a right to be here as we do. If the bungee jumping is operating when you get there, they’ll be blaring music. This part is always the toughest for me to handle, but just shift your focus to the surrealism of it and it’ll be okay. Be respectful of the bungee jumping business and pass on the part of the bridge marked for hikers. 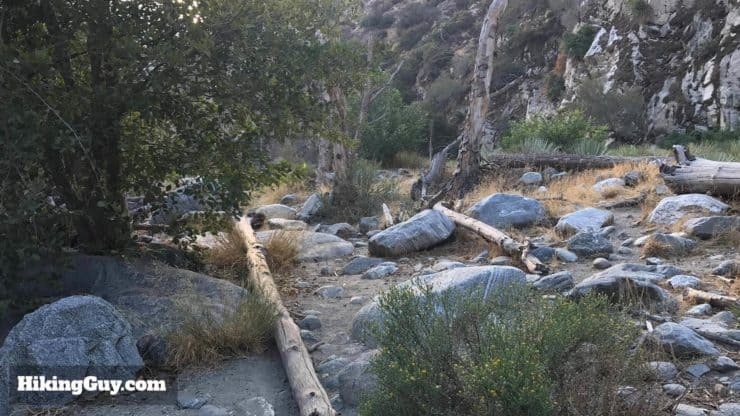 Remember, you are on private property that the owners allow hikers to enjoy. Here’s the sign that lets you know you’re entering private property. 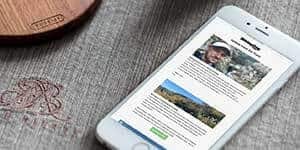 If you’d like to bungee jump, you can make reservations and learn more at the Bungee America website. I’ve never done it, but folks like Arnold Schwarzenegger and Jim Carey have, so you’ll be in good company.